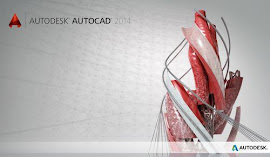 28th March sees the official launch date of Autodesk 2014 products. Subscription customers will be able to automatically download the new release via the subscription site. In the past Subscription customers have setup their profile to automatically have the media sent out to them from Autodesk , however Autodesk default delivery method is, Download. Suggestion. Click on the My profile page (top right hand corner of the screen) and confirm that the Contact email and delivery address details are correct. Note: If you have multiple subscription accounts, choose the one containing the product you would like to request physical media for. Step 4 Select the most appropriate Reason from the drop down and click Save Reason. Enter the Address where you would like to have your physical media shipped. Click Save Changes and Continue. After submitting you'll receive a confirmation via email. Note: Shipping will take approximately three weeks.